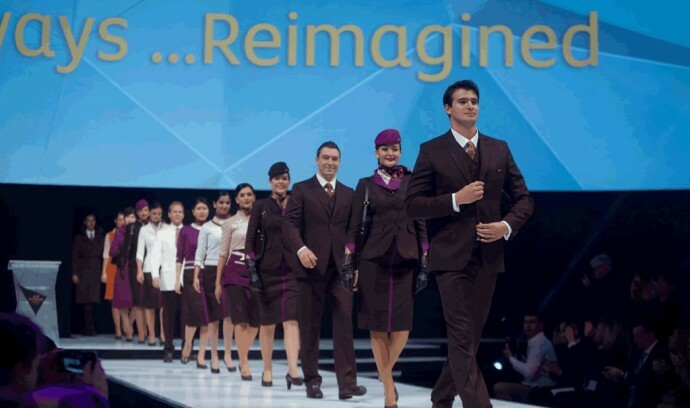 Celebrating their new A380 and B787 aircrafts, Etihad Airways have given their crew uniforms a couture makeover. We recently announced that the brand would be upgrading many of their services and now we’re offering you a first look at the crew’s cool new threads. 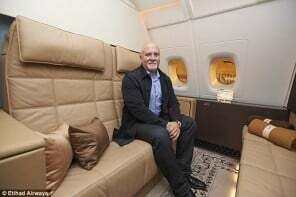 Italian designer Ettore Bilotta was the creative force behind the new uniforms. 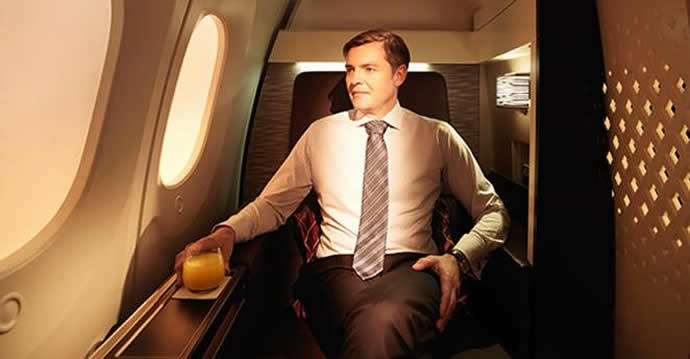 Inspired by the airline’s new brand color palette, he chose shades of chocolate brown, deep purple and burnt orange and used 100% Italian wool to create the clothing. “Old world haute couture from 1960s Paris and Rome” were the design references for the outfits which is in keeping with brand’s image of timeless sophistication. “This is not just a uniform. 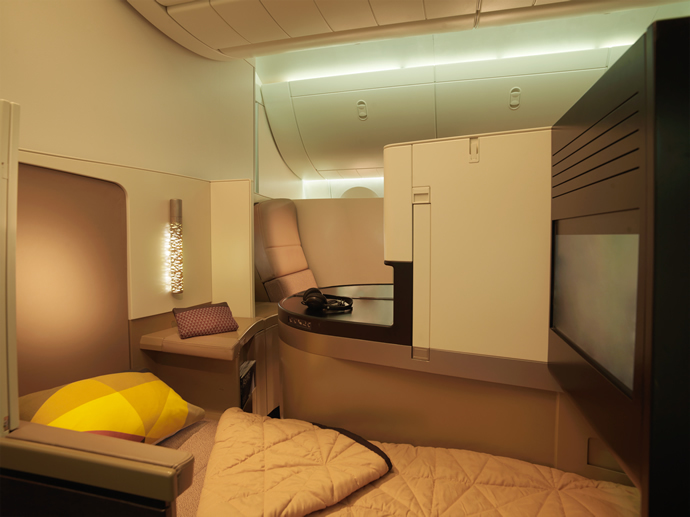 This is pret-a-porter concept – a future lifestyle statement and homage to the golden age of glamorous flight. It is about bringing back classic elegance, allure and richness to our men and women in a style which will become their signature look. 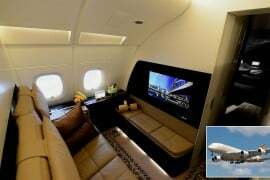 No matter where you are in the world, you will know this is Etihad,” said Aubrey Tiedt, Vice President Guest Services at Etihad Airways. 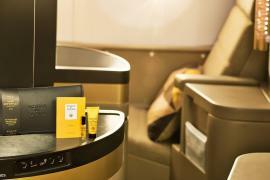 Make Up experts MAC were chosen to provide crew at the airline’s ‘Style and Image Suites’ at its Training Academy. 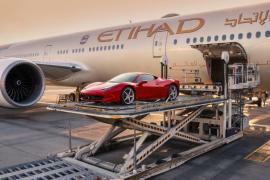 Leading fashion photographer Norma Jean was commissioned for the photo shoot that would introduce the Etihad Crew’s new style to the world. 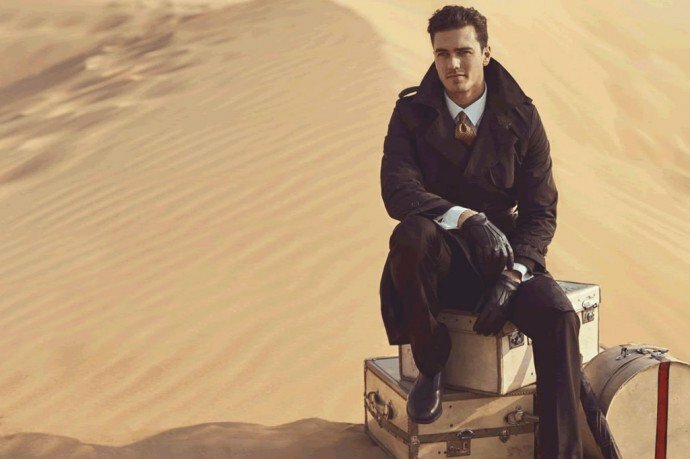 The sand dunes of Abu Dhabi’s Liwa desert and the Qasr al Sarab desert resort provided dramatic backdrops to the models. Next articleAnya Hindmarch’s limited edition vanity case for La Mer will set you back by over $3,000!